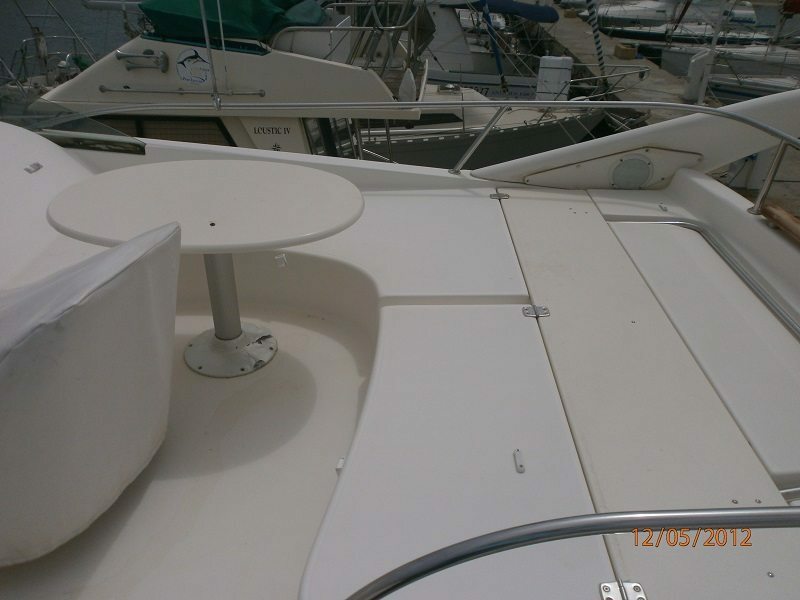 Jeanneau Prestige 36 Fly is a motor yacht highly designed and equipped for a longer stay at sea. 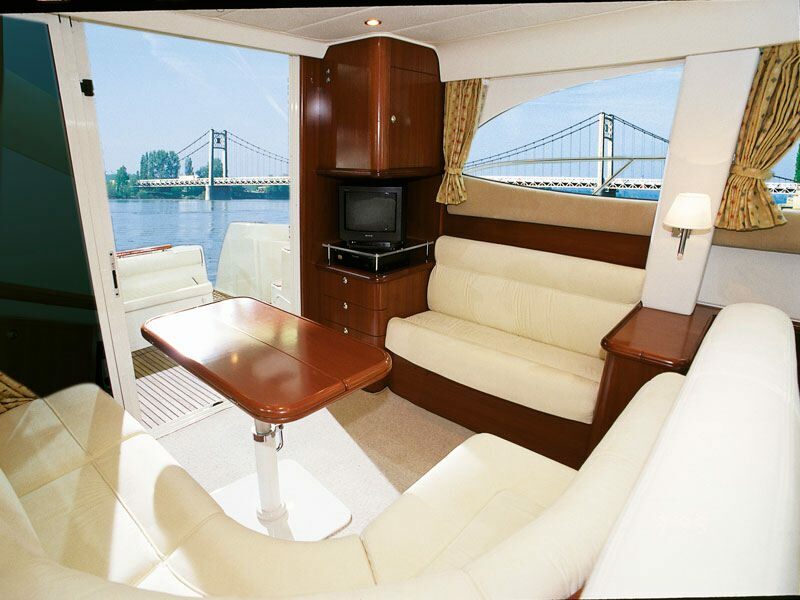 Jearmeau Prestige 36 Fly is a motor yacht higly designed and equipped for a longer stay at sea. Beautifully and tastefully decorated interior, made of varnished light wood, creates a felling of a home atmosphere. 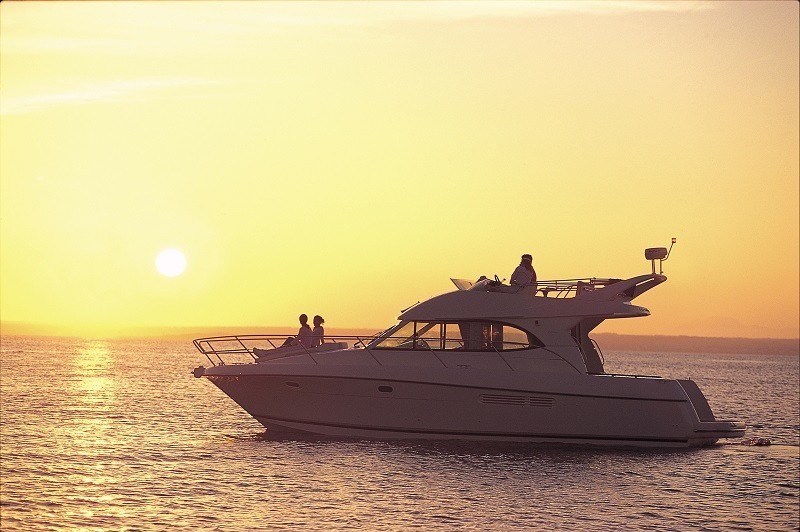 It is attractive, powerful and spacious motor yacht with impressive performance at sea. 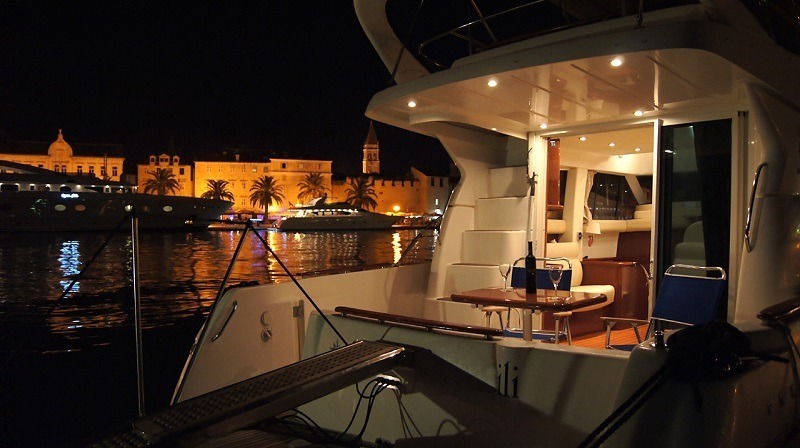 This Prestige 36 fly bareboat motor yacht, accommodating up to 4 guests in 2 cabins, is ideal for cruising the coast and holidays on Adriatic. 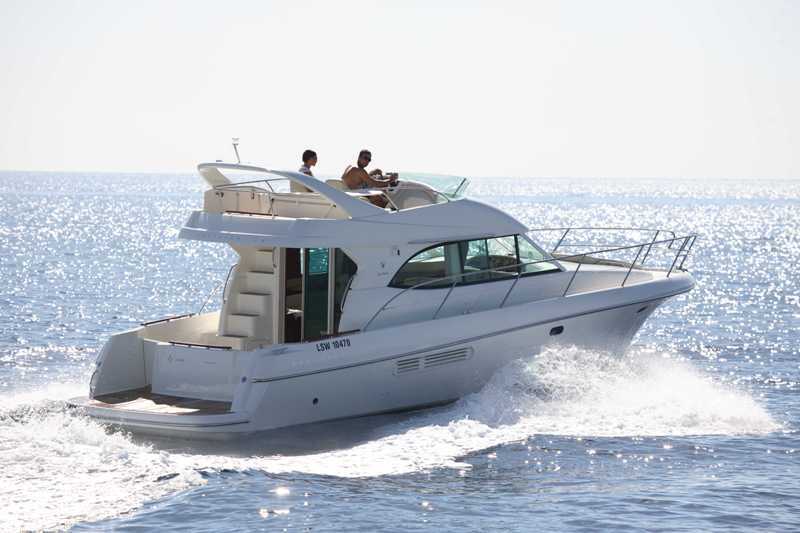 With its beauty, space and performance, the Prestige 36 is an exceptional motorboat that cleverly exploits the creativity of its Italian designers, Garroni & Musio Sale, who are so often associated with the Jeanneau mark. The concern for comfort and the quest for optimum ergonomics can be seen in all of the minor details that make such a difference onboard: a wider sidedeck to port to facilitate access forward, integrated steps enabling the crew to pass from the cockpit to the flybridge in total safety. The latter includes two seats for the pilot and co-pilot, an L-shaped deck saloon with a round table and a vast sunbathing area. The choice of materials – the wood as well as the sophisticated fabrics – is particularly appreciable in the comfortable and very well-lit saloon. 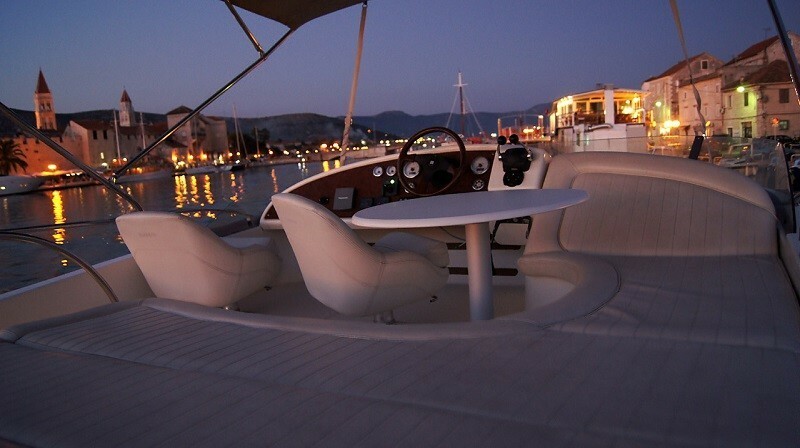 The motorboats exceptional level of comfort can also be seen in the vast owners cabin forward.